A number of re-emerging and emerging infectious diseases including chikungunya, West Nile, yellow fever, Zika, dengue, Japanese encephalitis, and others have increased in recent years, which threaten the public health across the globe. Chikungunya is a neglected re-emerging arboviral infection caused by chikungunya virus. Arboviral infections such as chikungunya, Zika and dengue have similar epidemiology, transmission cycles and clinical symptoms, which makes it difficult to diagnose these three infections. Moreover, there is no commercial vaccine or licensed therapy available for chikungunya infection, thus causing severe burden worldwide. Vector control may reduce the disease risk; however, this remains a challenge due to many factors including, but not limited to, evolution of insecticide resistance in mosquitoes, gaps in vector control tools, urbanization, environmental and demographic changes. Effective integrated vector control strategies and surveillance measures along with affordable vaccine development or anti-viral therapy are essential to control the infection. In this review, we discuss the epidemiology of mosquito-borne infection chikungunya which has re-emerged as an international concern in recent decades. Objective: To investigate the wound-healing effect of Alocasia longiloba (A. longiloba) petiole extract on wounds in rats. Methods: Twenty-two male Sprague-dawley rats were randomly assigned to receive 10% solcoseryl gel, phosphate buffer saline, 50% ethanol, 95% ethanol and hexane extracts of A. longiloba at 1.5%, 3% and 6% doses, respectively. A full thicknesses wound (6 mm) was created on the dorsal of the rat; and all rats were applied with the extract solutions, 10% solcoseryl gel and phosphate buffer saline once a day topically until day 12. The wound was photographed on day 1, 6 and 12, and the percentage of wound contraction was calculated. On day 12, rats were sacrificed and histological examination of granulation tissue was carried out using haematoxylin & eosin and Masson’s Trichrome stain to determine the wound healing effect. Results: In this study, 6% of 50% and 95% ethanol extracts of A. longiloba showed 82.50% and 82.32% wound contraction, respectively, and were comparable with 10% solcoseryl gel (82.30%). Meanwhile, phosphate buffer saline treated group showed the lowest wound contraction (69.86%). Histological assessment of wound treated with 6% of 95% ethanol extract of A. longiloba showed distinct epidermal and dermal layer, higher proliferation of fibroblast and more angiogenesis with collagen compared to other wound treated groups. Conclusions: A. longiloba petiole extracts have a wound healing potential and 6% of 95% ethanol extract of A. longiloba is more effective. Further studies are required to understand the wound healing mechanism of action of the extract. Objective: To assess the effects of Falcaria vulgaris (F. vulgaris) as an antioxidant on damage to kidney of diabetic rats. Methods: Diabetic rats were established via streptozotocin (60 mg/kg). Various doses of F. vulgaris extracts (50, 100 and 150 mg/kg) and streptozotocin + F. vulgaris extracts were administered via intraperitoneal (i.p) injection to 48 rats (n=8 per group) for 28 d. Subsequently, ferric ion reducing antioxidant power (FRAP) of renal tissue, thiobarbituric acid reactive species, blood glucose concentrations, insulin, nitrite oxide, the weight of animals, glomeruli characteristics and kidney function were evaluated. Results: Compared with the control rats, diabetic rats showed significant increase in malondialdehyde, blood urea nitrogen, creatinine, blood glucose, nitrite oxide contents in renal tissues, and glomerular diameter. Furthermore, tissue FRAP level, body weight, number of glomeruli and plasma insulin were markedly reduced in diabetic rats when compared with the control group (P < 0.05). 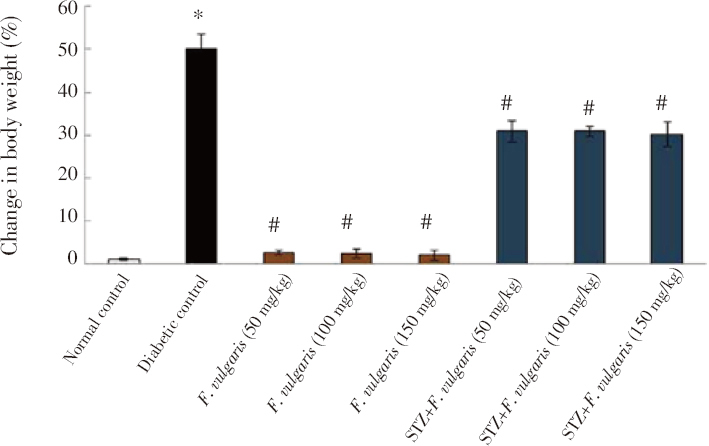 However, in all F. vulgaris and F. vulgaris + streptozotocin groups, malondialdehyde level, blood urea nitrogen, creatinine, glomerular diameter, nitrite oxide, and glucose levels were decreased significantly; meanwhile, tissue FRAP level, body weight, glomeruli number and insulin serum level were increased, compared to the control diabetic group (P < 0.05). Conclusions: F. vulgaris extract alleviates renal damage in diabetic rats. Objective: To identify and determine the composition of antioxidant compounds, and to evaluate the antioxidant abilities of Gac fruit parts (peel, pulp, seed and aril) grown in Malaysia. Methods: LC-MS/MS was used for identification of antioxidant compounds and UV-Vis for estimation of the contents of phenolics, flavonoids, and carotenoids. Lycopene and β -carotene were quantified using high-performance liquid chromatography. DPPH (2, 2-diphenyl-1- picrylhydrazyl) and ferric reducing antioxidant power assays were employed to evaluate antioxidant capacities. Results: Phytochemicals were found amongst all the fruit parts. Notably, significant amounts of carotenoids [(107.4 ± 4.5), (85.7 ± 4.4), (110.6 ± 2.1) mg/100 g dry weight (DW)], and relatively high levels of both phenolics [(27.3 ± 1.7), (28.9 ± 2.4), (30.8 ± 2.7) mg/100 g DW] and flavonoids [(38.1 ± 2.2), (8.8 ± 1.3), (24.5 ± 3.3) mg/100 g DW] were found in the fruit’s peel, pulp and aril, respectively. Seed part also showed a relatively high level of flavonoids [(18.1 ± 2.3) mg/100 g DW]. Lycopene and β -carotene were found to be significantly high (P < 0.05) in aril [(579.3 ± 22.7) and (621.0 ± 35.0) μg/g DW], followed by peel [(51.0 ± 7.5) and (210.0 ± 12.5) μg/g DW] and pulp [(37.6 ± 10.9) and (205.6 ± 22.1) μg/g DW)]. Antioxidant assays revealed that aril possessed the highest scavenging activity (IC50 = 865 μg/mL), while the peel possessed the highest ferric reducing power of 140 pmol FeSO4/μg. Conclusions: The current results demonstrate that Gac fruit grown in Malaysia is a rich source of phytochemicals, especially carotenoids, and possesses antioxidant activities. Thus, such findings suggest Gac fruit as a source of an antioxidant plant. Objective: To investigate phytochemicals present in the essential oil from aerial parts of eastern red cedar, Juniperus virginiana (J. virginiana) L. (Cupressaceae) and to determine its killing and repellent activities against larvae, pupae, and adults of the Asian malaria mosquito, Anopheles stephensi (Diptera: Culicidae). Methods: J. virginiana essential oil was extracted by hydrodistillation, and its chemical composition was determined by gas chromatography-mass spectrometry. 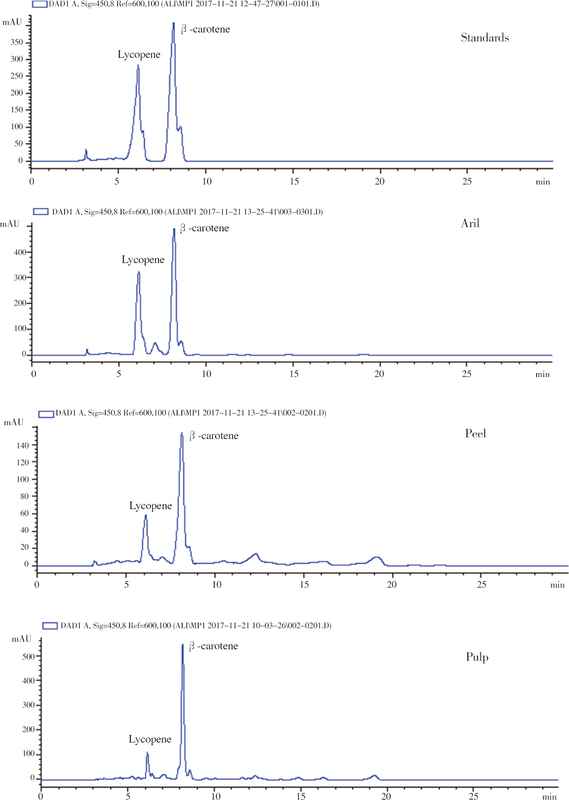 Seven different logarithmic concentrations of J. virginiana essential oils were used in larvicidal and pupicidal assays. J. virginiana essential oils-impregnated bed nets were applied in a designed animal module to test excito-repellent activity against adult mosquitoes. Results: Fourteen constituents corresponding to 99.98% of J. virginiana essential oils were identified. Five main components were terpinen-4-ol (25.21%), camphor (19.89%), E-3-hexen- 1-ol (13.30%), γ-terpinene (7.86%), and l-menthone (2.27%). The LC50 and LC90 values against larvae of the Anopheles stephensi were 11.693 and 66.140 ppm and for pupae were 9.640 and 40.976 ppm, respectively. In excito-repellency assay, J. virginiana essential oils-impregnated bed nets provided an average of 54.63% protection for guinea pig and 45.37% mortality for the mosquitoes. Conclusions: Four monoterpenes and one leaf alcohol were identified by gas chromatography-mass spectrometry. J. virginiana essential oils showed potent larvicidal, pupicidal, adulticidal, and repellent activities against Anopheles stephensi at acceptable concentrations. Evaluation of bioactivity of identified chemicals (alone or in combination) will provide new eco-friendly substances for mosquito-management programs. Objective: To evaluate the antimalarial activity of the ethylacetate and butanol fractions of Combretum nigricans (C. nigricans) leaf extract in mice. Methods: C. nigricans solvent (butanol and ethylacetate) fractions were screened for their phytochemical constituents using standard procedures illustrated by Harborne and Evans. 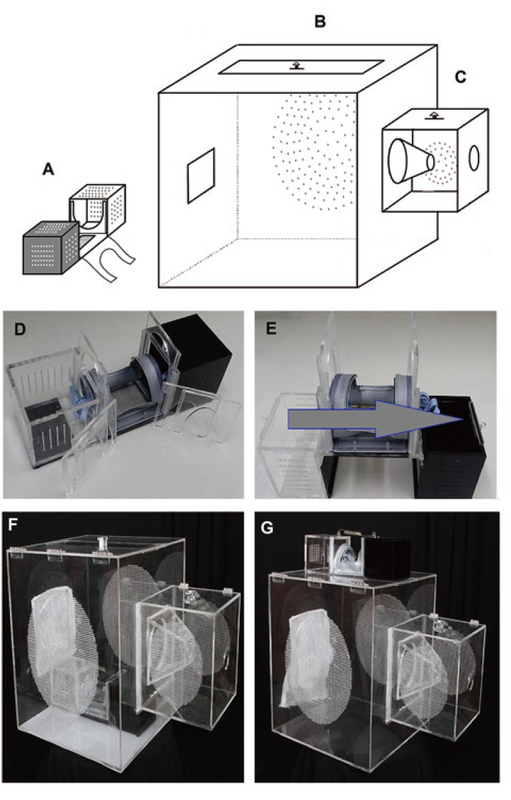 The Peters’ 4-day suppressive test against early malaria infection, Rane’s curative test against established malaria and prophylactic test for residual activity were employed for evaluating the antimalarial potential in mice. Results: The phytochemical screening revealed the presence of alkaloids, terpenoids, saponins, and flavonoids in both fractions at different intensity. Both fractions exhibited significant antimalarial activity in all test models (P<0.05). The ethylacetate fraction of C. nigricans had better chemosuppressive and curative effects compared to the butanol fraction, which however, elicited a better chemoprophylactic effect. The chemosuppressive effect of C. nigricans ethylacetate fraction (200-800 mg/kg) was 77.6%, 69.1% and 86.1%; curative effect was 62.3%, 71.3% and 72.4%; while the chemoprophylactic activity was 32.1%, 48.6% and 61.2% respectively. C. nigricans butanol fraction (200-800 mg/kg) had 40.3%, 54.1% and 69.1% chemosuppression; 26.2%, 36.9% and 34.5% curative effect; and 48.4%, 70.0% and 87.4% chemoprophylaxis. Conclusions: Both solvent fractions of C. nigricans possess antimalarial activity, and may be useful at different stages of malaria therapy.